If you follow along on our blog you may remember this post from last year. We loved the tips and inspiration here and decided to share it again, with a twist. We included eco-friendly options for each design idea and hope it inspires you to go green this year when choosing gift wrap. Gift wrapping can be an art form. In fact, I know someone that can wrap a gift with such accuracy that I swear she is cheating. I witnessed it though, so I knew she wasn’t, and with the grace and elegance of Jacqueline Kennedy she folded and twisted the paper into an awe inspiring origami like structure. Ribbons, perfectly matched, fell from it and moved with it as if choreographed. The presentation was as much the gift as what the box itself held. The time and effort was palpable and brought with it sentiments that are etched across the heart. 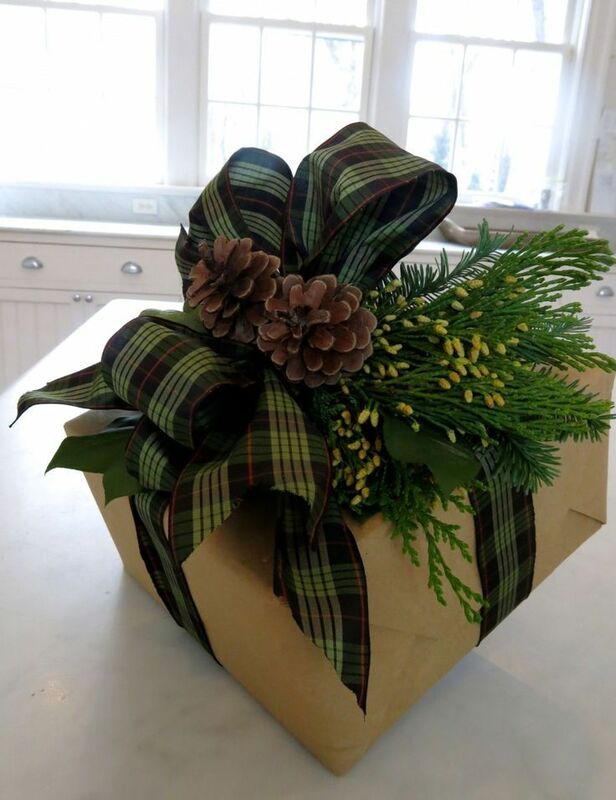 We love the use of non-traditional colors in this wrapping. Who says you have to stick to red and green? Mix it up for festive gift wrapping that will please a special person on your list. Brightly colored eco-friendly option from Wrappily. Folding pleats in your gift wrap is a really easy way to dress up a package. It gives it the formal look of a tuxedo shirt and it’s quick and easy to do. Try pleating this eco-friendly option, Marbled Mistletoe, from Wrappily. Punctuating a beautiful bow with a few inexpensive ornaments is a great way to bring flair and class to your gift wrapping wihtout breaking the bank. Bring on the flair with environmentally friendly pine cones and greens! Keep your eye open for unique wrapping paper. Not found at the big-box stores, specialty papers are fun, beautifully designed and make presenting that perfect gift a memorable experience. This llama inspired eco-friendly wrap from Wrappily is definitely unique! This is a big trend this year. Bold black and white ribbon bring a chic punch to red and green wrapping paper. It’s is a timeless classic that you can use throughout the year! Opt for recyclable paper ribbon! Lots of color choices available! Who hasn’t wrapped a gift in newspaper in a pinch? The old tried and true method is back and all dressed up for the holidays. By adding a creative newspaper “bow” and some holiday ribbon, this newspaper-clad present is ready for it’s closeup! Newspaper wrap…already an eco-friendly choice! This is both beautiful and kind of amazing, and might be considered “advanced” level wrapping, but wow, what a statement this ribbon cutting makes! Paper ribbon will work for this too! With all the choices of gift wrap and ribbon it’s easy to get creative, put your personality into it, and make a memorable, merry and bright impression on the lucky recipient!